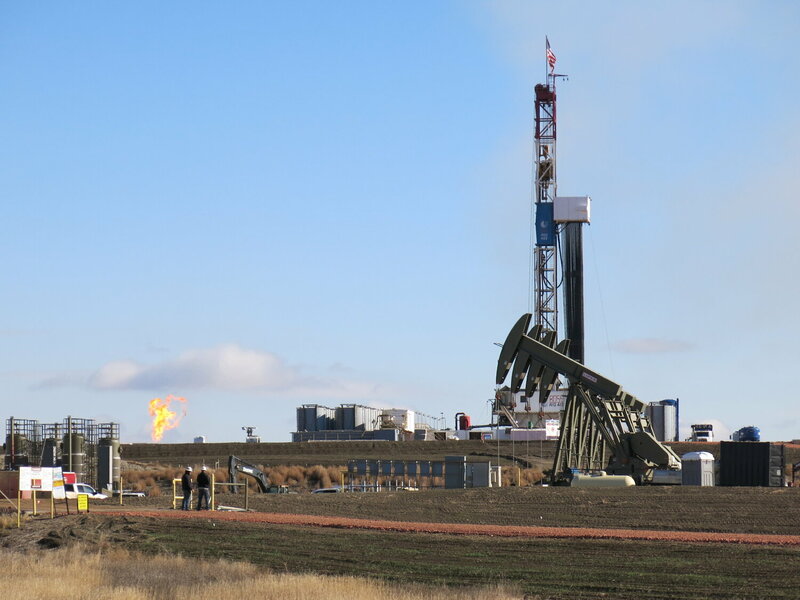 An oil well just south of Watford City, North Dakota, is one of thousands drilled in recent years. The oil-rich Bakken shale formation has made North Dakota the second-largest crude-producing state behind only Texas. The U.S. hit a milestone this year, producing more crude oil than any other country, and North Dakota is a big reason for that. After a lull when prices collapsed in 2014, the state is setting new production records and is the country's number two oil state, behind only Texas. Reaching this point has had its challenges. Five years ago many in these rural oil fields were talking about rising crime, including prostitution and illegal drugs. Another complaint was traffic jams from all the pick-up and tanker trucks traveling back and forth to the thousands of new wells that were drilled. But visit Watford City now and the subject of crime doesn't really come up. The town feels less frantic. After years of growing pains, the region has spent a lot of money upgrading infrastructure to accommodate the influx of people drawn by the oil boom. A bypass around town has eased traffic on the main street.